An early X'mas present for me from ISPWP! The results of the latest ISPWP contest couldn't have come any time better as a consolation for me while I am working non-stop at high gear during this holiday season. Many thanks to my wedding couples, Eva & Steve and Lyn & Brandon, for allowing me to capture their beautiful moments of their big day! And congrats to all the winners and participants of the contest! I knew I could not go by this wonderful event without some stage pictures. So during the rest moments for the portrait session, I snatched my opportunities to take a peek at the final dress rehearsals of this year's Santa Clara City Nutcracker Ballet performance. The pictures speak for themselves. All I can say is that the dance instructor, all the dancers, the parents and the entire crew supporting this event were just marvelous! Such a wonderful performance! 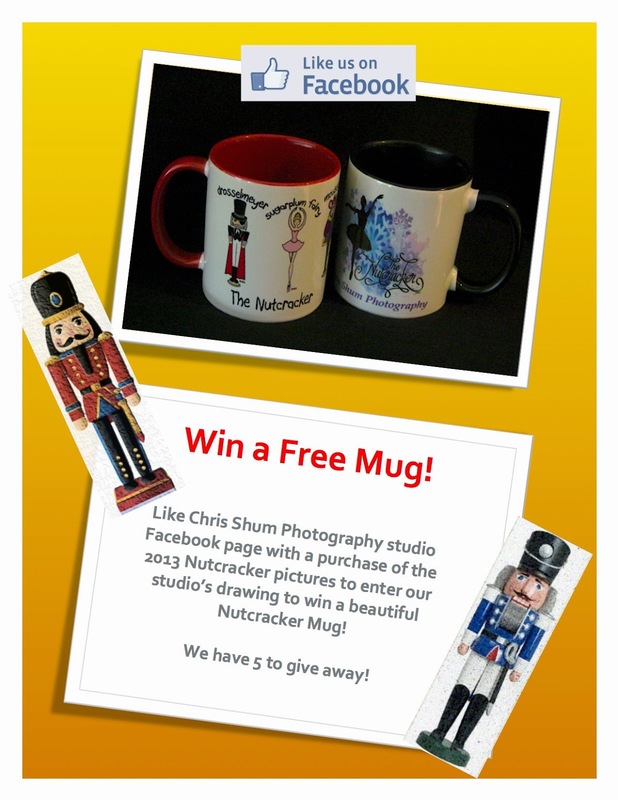 Win a Nutcracker Mug from Chris Shum Photography! It's that simple! The drawing will be on Christmas Day! We will announce the 5 winners by their initials on our Facebook page. Stay tuned! And of course, the more the merrier! So please also ask your family members and friends to like our studio's Facebook page! 1. You have joined ('Like') our studio's Facebook page within 2013. 2. Each purchase (by order #) will be eligible for 1 entry in the drawing. 4. The winners will be announced by their initials on our Facebook page. 5. Each winner will also receive an email notification. 6. Winners will not be able to choose the design of the mug they receive. 7. We will use the mailing address on the purchase order for mailing out the prizes.